In the fall of 2006 a wonderful location in a completely rejuvenated downtown Lodi opened up. The owners had this desire to offer a vehicle for people to sell their gently used furniture, their antiques and collectibles and other household goods in a clean, safe and friendly environment. So the day after Thanksgiving and after days and nights painting and redecorating they opened the doors to New & Again Consignment Furniture Galley on School Street. 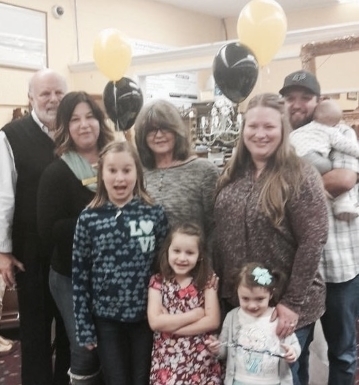 The owners (Allan & Pamala Levy) are longtime Lodi residents and are semi retired now having turned the day to day running of the business over to their daughter Hayley Jackson. Hayley is also now a part owner and really has a great feel for the business and the needs of the customers and consignors. And daughter in law Brooke runs the stores eBay site and works part time and all the employees are friends of the family and greatly contribute to the “Family” atmosphere that our customers and consignors love. We firmly believe that we need to contribute as much as we can to the communities we operate in and as such we actively support many local charities and organizations. Our favorite charities are “Children’s DreamWorks” and the “American Cancer Society’s Thrift Store”. We participate in the Lodi Street Faire, the semi annual “Downtown Wine Stroll, the Downtown Trick or Treat Day, The Christmas Parade of Lights and many more events designed to foster goodwill and community spirit in Lodi. The first year we opened we thought when major holidays come around not everyone travels out of town or has a special event to go to. So we created the New & Again Hot Dog BBQ and we run it every Memorial Day, July 4th and Labor Day. 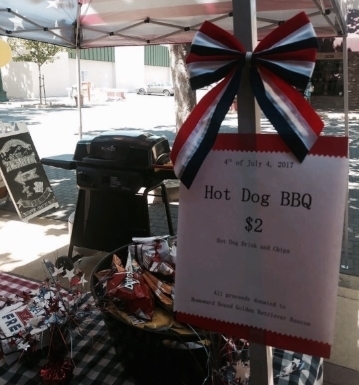 We buy the sodas and hot dogs and we BBQ them and sell them for $2 and then turn around and donate all the proceeds to “Local Charity." Our customers love the event and we have a huge turnout and it has evolved into a real social event. Next major holiday come on down and say hello. Mention that you saw this invite on our web site and we’ll even buy you a hot dog and soda.